The best detox for weight loss is one that is made of whole organic food. Not some quirky chemical concoction that makes you see green and pee blue. Science has proven that the most potent healing substances nature provides is whole food organic nutritional supplements. 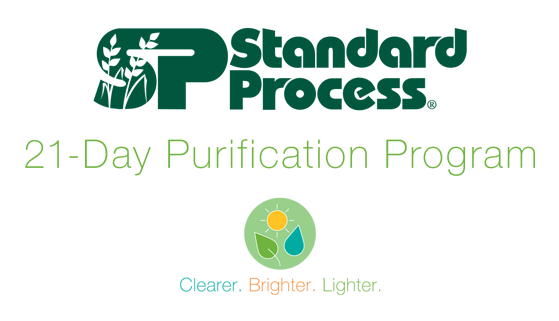 Standard Process has been using organic whole food concentrates to create powerful change in patients since 1929. Are You Suffering From Toxicity? Take The Quiz! Would you like to know if toxicity is causing problems in your life? A great way to tell is to take the toxicity questionnaire! Just CLICK HERE and then print your results and call Dr. Bryan&apos;s Office at 614-436-3870 to schedule an appointment to discuss your results. Why Is This The Best Detox For Weight Loss? Why is this the best detox for weight loss? One word...Results! The powerful, organic, whole food concentrates that are incorporated into this program have been scientifically proven to be the safest and most effective way to detoxify the body. There are over 80,000 chemicals in our air, food and water that are stored in the body and accumulate over time. Many of these chemicals cause fat storage by destroying the natural hormonal balance in the body. Once this has happened, it is nearly impossible to lose weight even if you cut calories and exercise. This program actually helps support the liver, kidneys, and intestines to eliminate these toxins and help restore the natural hormonal balance therefore making permanent weight loss a much easier reality for you. Another great benefit of this program is that once completing the 21 Day program, you will lose the cravings for unhealthy food that contributed to your weight gain and toxic build up in your body. Once you clean your body and feel how it is to be more healthy and vibrant, there is much less temptation to return to old unhealthy habits. Many people report that they don&apos;t even want to look at unhealthy food. This creates an even stronger environment for permanent results. To See The Program In Detail CLICK HERE! You can also pick up the booklet FREE at the office! What is Included in the 21 day Program? The biggest thing that makes this program different is the support you will receive. A program can contain the best products but without proper support you will not get optimal results. 1. A consultation with Dr. Bryan to help customize the program to your needs. You can have your personal consultation either on the phone or in person. 2. A book that contains step-by-step instructions and recipes that makes it a breeze to complete. 3. A daily email while on the program to provide recipes and encouragement as well as a real person to answer your questions. For more information on Standard Process, please visit their company website. Their products are only available through licensed health care professionals. They have been serving the health of patients since 1929. We make that easy for you as well. Call our office at 614-436-3870 to schedule your personal consultation either over the phone or in person. We can also recommend accommodations for our patients who wish to travel into Columbus for their consultation. We look forward to assisting you to better health! I have worked with thousands of people over the last 20 years and this is the best detox for weight loss and health promotion that I have ever used. I put my reputation on it every day. 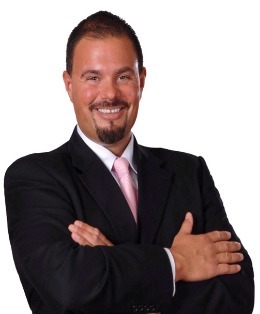 -Dr. Bryan Schuetz Clinic Director, Capital City Chiropractic. Serving Worthington and Columbus Ohio.